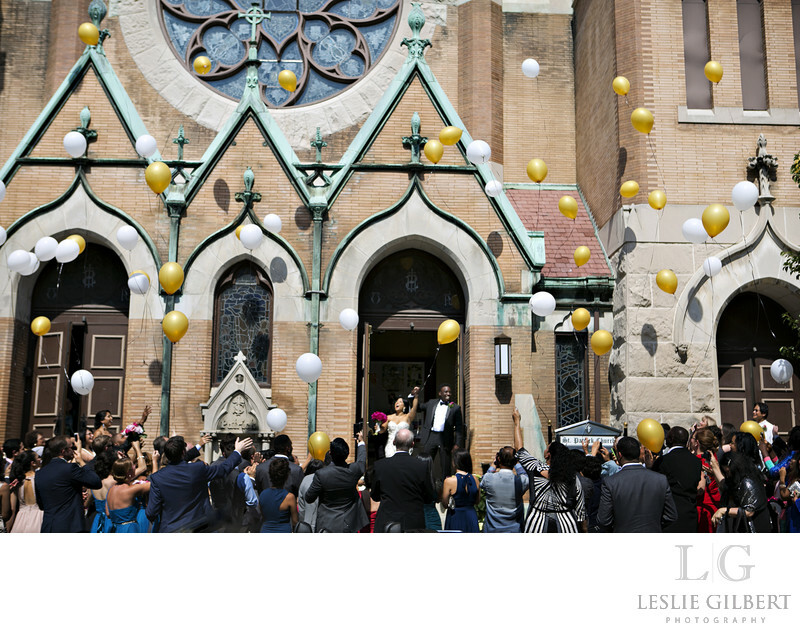 A beautiful wedding in York, Pa at St Patrick's church. Jesca and Idris lived on opposites sides of the country and pulled of the most amazing wedding! Every details was like a Broadway play. Jesca had such a gorgeous gown and Badgley Mischka shoes. Their reception was held at the Valencia Ballroom in York. When you walked in, there were marquees and movie posters of the couple and a ticket booth for their guest to get find their seating. The room was filled with sparkle. Each table had huge center pieces that complimented the style they were going for. When the couple was announced, they enter on the stage in a spot light first dance. I have never seen a more gorgeous wedding. Location: Valencia Ballroom 142 N George St, York, PA 17401.